I woke up in a funk. Not the seventies soulful, paisley-patterned, psychedelic kind but a restless, mean spirited, pouty kind. There was a mist hanging over the city and I thought disappearing into it might help dispel the one over me. So I set out. A new coffee shop had opened up. In a faded row that specializes in Latino hairstylists, pawn shops, and $1 slices, its black and yellow paintwork drew attention to itself. But I really wasn’t sure as I stepped down its two steep front steps. The original Jewish businesses in my hood have fallen and the next to go will be the Latinos as the Lower East Side continues to bargain with the East River for counter space to serve 101 varieties of designer beer. There’s a Soho House destined to open next year, need I say more? So at the risk of sounding like a racial profiler, I peeped my head in, ready to move on if the people didn’t appear to be my kind. That kind, I’m ashamed to say, would be wan-looking writers who nurse the same once-hot beverage over their computer screens for hours, blind to the hungry family of eight waiting for a table. Oh, my giddy aunt, I inwardly exalted, as my eyes adjusted and I saw the solitary silhouettes of others just like me in the shadowy corners of this low-ceilinged gaff. In Ireland, I imagine, writers stay at home to write. I haven’t asked any. But cafe society at home is not as generous to writers as Manhattan’s. There, hot brews are consumed within close proximity to the kitchen stove, the sipper soothed by the hum and chatter of boiling pots that fill the silence. All other drinking moves to the pub. If you had productivity issues before and choose the latter, well, just watch your novel tie a rope to a light fitting and make a noose to insert its head through. Joyce had to transfer to Trieste to embrace cafe life. Hemingway and Fitzgerald famously experienced it in Paris. 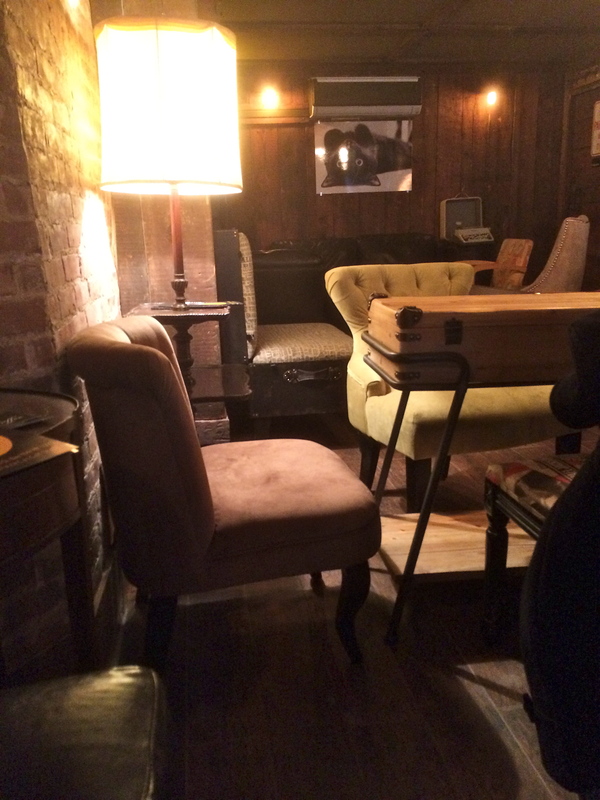 Virginia Woolf may have needed a room of her own, but Manhattan writers require less: a corner table just big enough to accommodate a laptop and a mug. 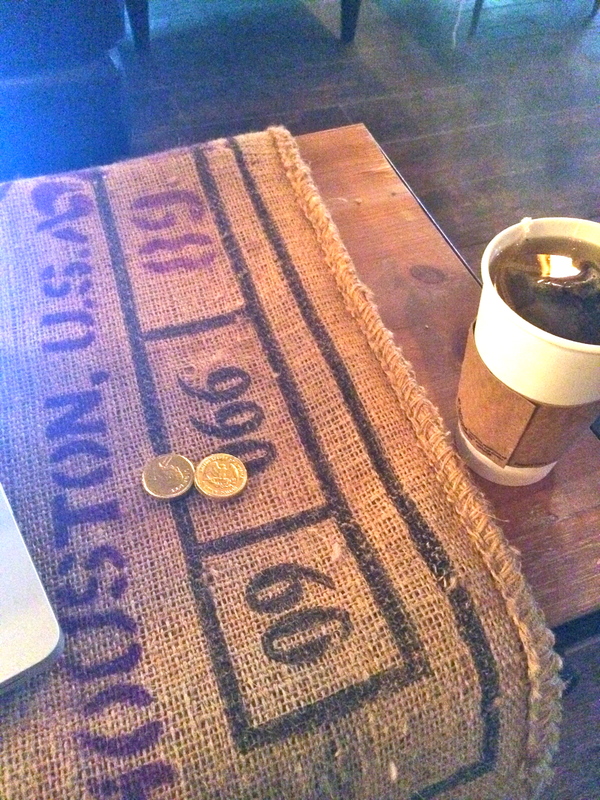 The Polish waitress dropped a couple of chocolate coins into my hand to enjoy with my Hojicha. How did she know chocolate coins are on my list of favorite things? Oprah, you have your list, I humbly have mine. If all the denaro in the world was made of chocolate, wouldn’t we be fatter but happier? Oprah, you listening? The furniture was a patchwork of wood: trunks strewn with hessian sacks stamped with Product of Honduras stood in for tables. 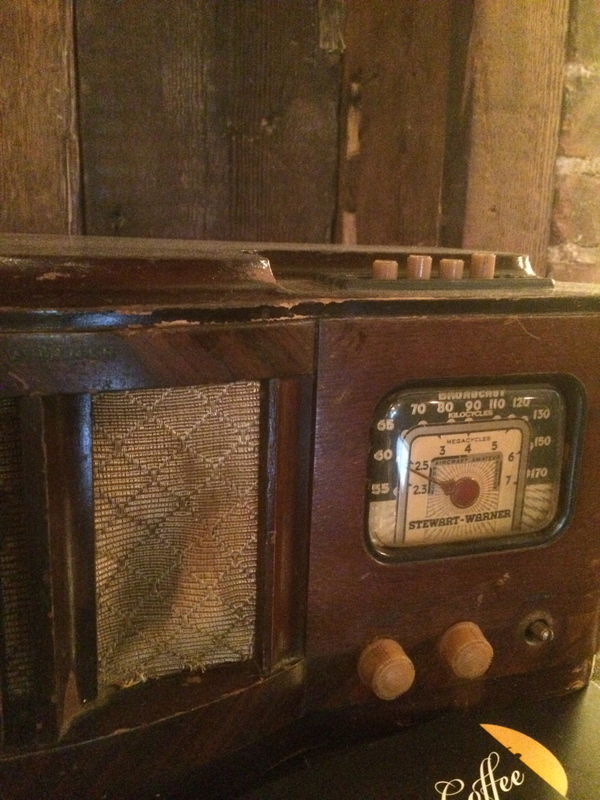 and contrasted with the plush red velvet or quilted leather armchairs; an old wooden wireless radio was framed against exposed brick. 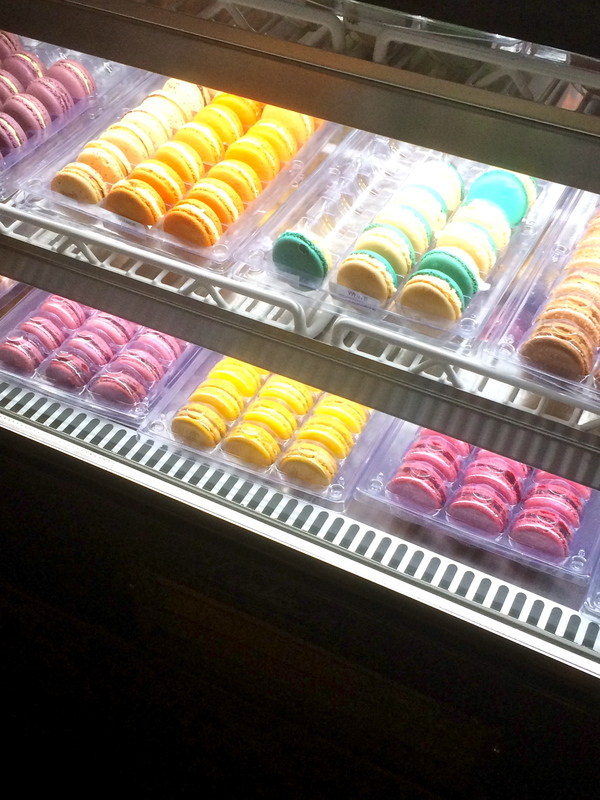 Small packets of Belgian cookies had been tipped into a battered old suitcase on the glass counter which contained trays of french macaroons, pastel coloured like little girls’ compacts. 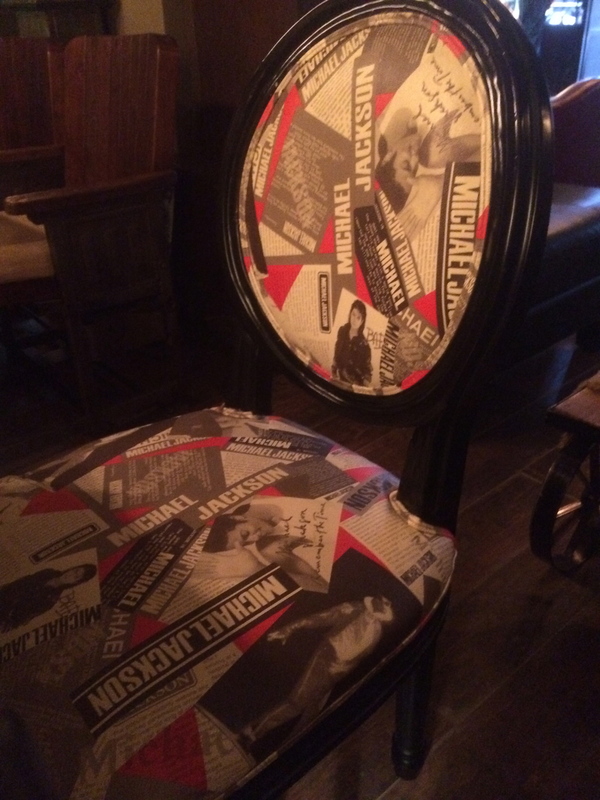 The most eccentric item was a dark wood chair whose cushioned quarters were printed with images of Michael Jackson. From Blame It On The Boogie (now that’s funk) right through to Bad. 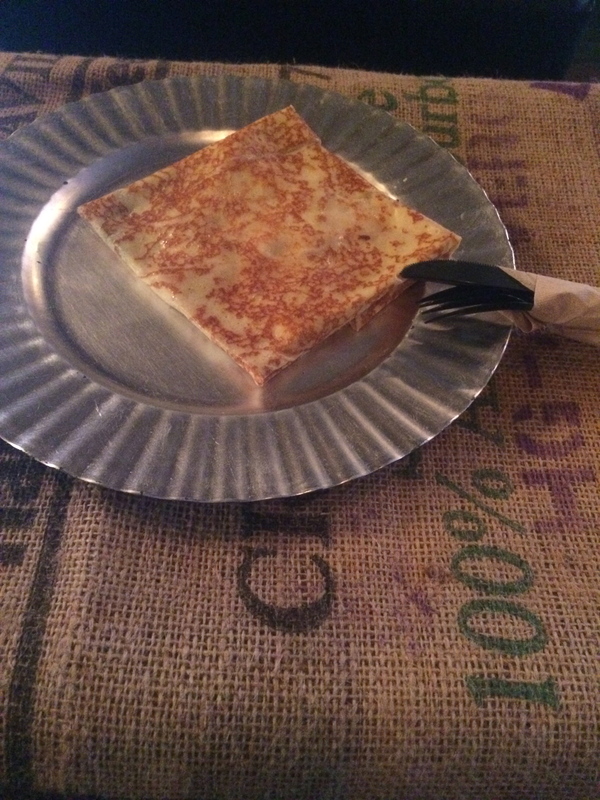 I ordered a crepe to make a good initial impression. To show I was not one of that kind. 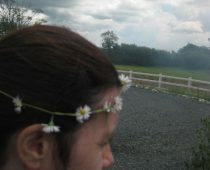 Truth is, I would have sat there all afternoon if I hadn’t made an appointment to get my roots done. I had a serious Kate Middleton situation to attend to. Or to use another euphemism, the Manhattan mist looked like it had worked its way into my hair. But do you know what? My funk had lifted. My first novel is now available. You can buy Silk for the Feed Dogs here. 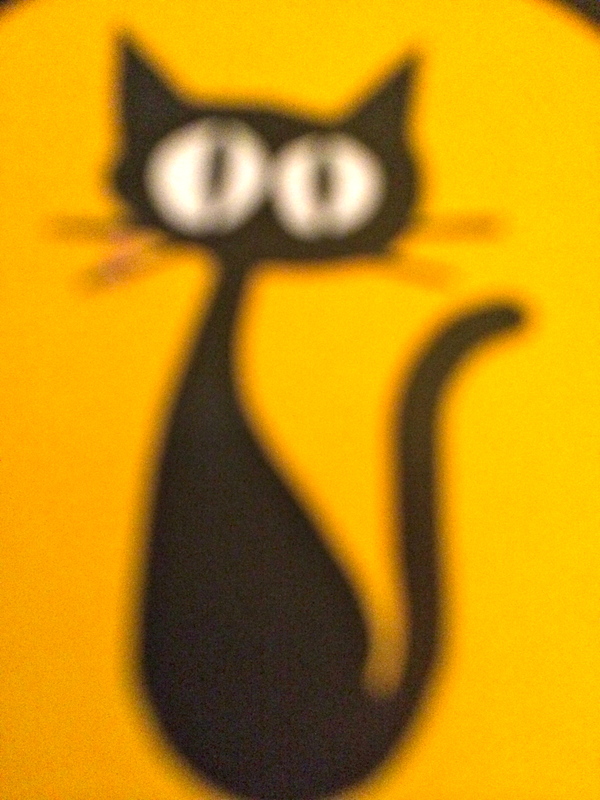 I’m going to love reading your novel! I did wonder about the London scene. I would imagine there would be little locales that would accommodate the wandering city wordsmith (see how I’m romanticizing it!). I would hope so as it’s an inspiring city. I’d spend too much time staring out the window at the rain though. One thing I miss over here. Not enough rain. But I think I have heard of Picasso’s–in its original state. What happened to Picasso’s is a travesty. I believe the original features in William Boyd’s new James Bond novel, and what a great place it was. 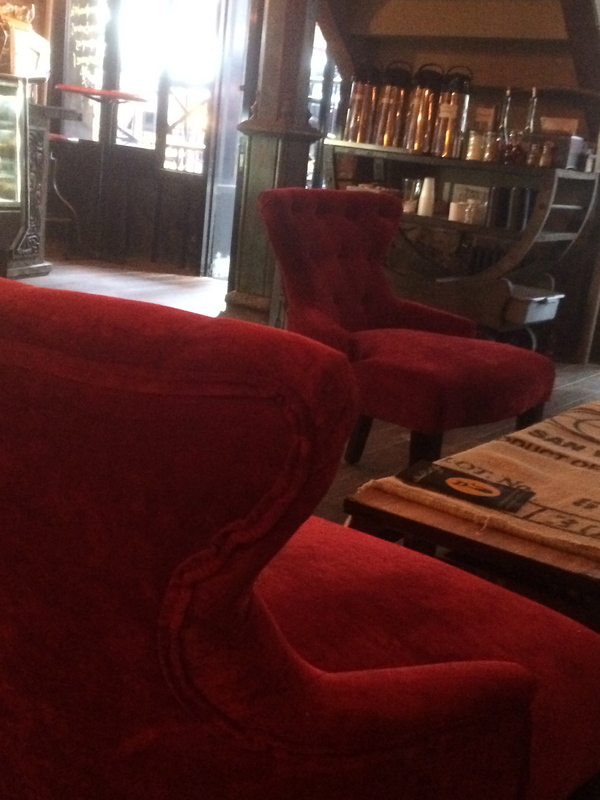 Yes, the London coffee shop scene is pretty good, but like everything veering towards homogenisation. Guess it’s the price of the free wifi. Of course, you’re the perfect one to report from the home front. I suppose being near Belfast might help with cafe options. Although the big home fire sounds lovely. The fact is I spent most of the time writing Silk at my kitchen table with my back to the window. Which goes to show I’m more distracted this time round. I seem to need to feel like I’m in the middle of something and yet be reclusive at the same time! Sounds like a gem. You keep that place a wee secret or you’ll never get a table again! Way ahead of you , Peter. I didn’t exactly give its precise location or make too much of its name. But it is a concern. Flash forward to my next visit and there’s not a shadowy corner to be had. 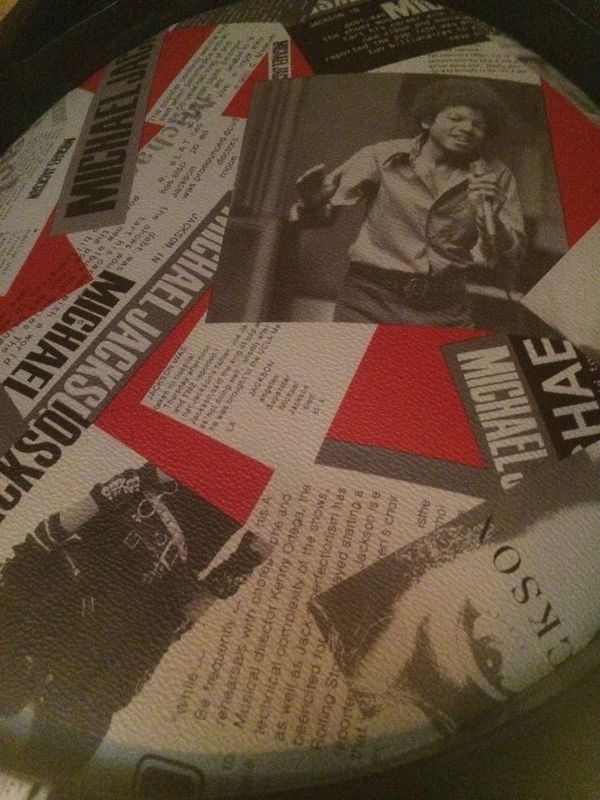 I’ll have to sit on the King of Pop! Made me long for NYC and the Lower East Side and even mist. Ensconced here in SoCally I can barely remember it. It’s wet, right? Wettish, David. Not quite enough for me. I love rain and NYC has surprisingly little. Although SoCal less, poor you. (I recognize this is not the usual response from people when you divulge where you live.) Here the weathermen announce record level rainfall every couple of weeks and then we have 1/2 cm of rainfall and I feel conned. I’m thoroughly enjoying your novel. It’s very original and I have so many questions! You’ve inspired me – I’m going to do it! Tomorrow, I’m going to abandon My Special Chair and My Special Desk and head over the park to the café on the other side. I suspect that my local caff might have more squealing little people than chocolate gold coins, but goddammit, I’m going to give it a go!